Christmas is a busy time for a wishlist service, and we try to keep the service running as smoothly as possible at the time when you need it most. 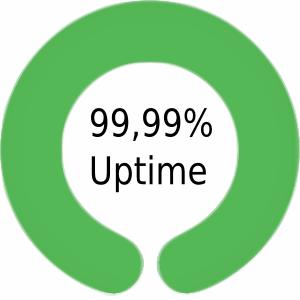 This Christmas, we again managed to keep our uptime above 99,99% (measured by Uptime Robot and Pingdom). We had two tiny breaks in December (both for 47 seconds) when we released two small fixes to the production site. Those were done to serve all our iPhone users better, as there was an issue with push messages. All bigger changes were saved for later just in case. Currently, we are investigating if we could add a patch to this site so that everybody could see the uptime at any point. That would increase transparency and trust. However, this feature is not currently very high on our development list, as there are so many other things that would add more value to our users.